« Banana bread. Well, muffins. I did some fairly major gardening work today. By 2pm I had a huge pile of weeds on the lawn that I had pulled out, and some encouragingly clear earth in my southern garden bed. I decided I needed some flower seedlings, so I to my local garden centre to pick some up. I bought some snapdragons, dahlias, and lobelias. My snapdragons seedlings I started in early spring are taking an agonisingly long time to grow bigger, and only have 4 leaves so far. 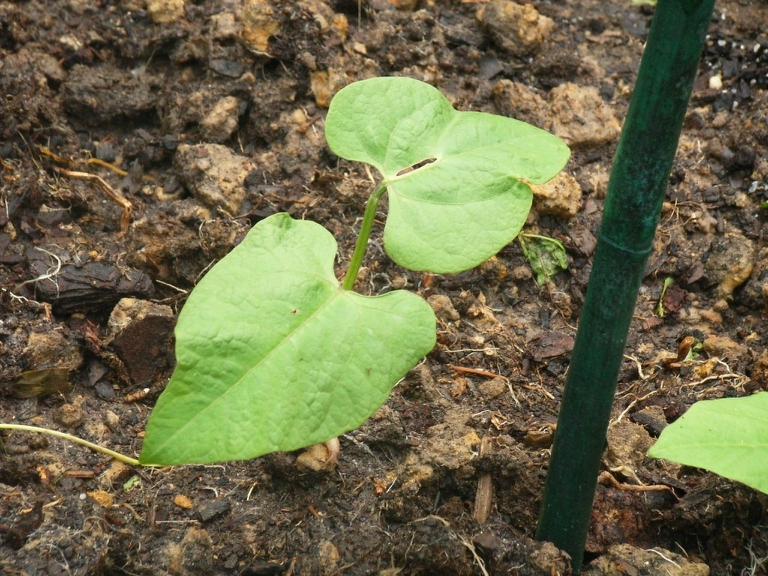 Next year I will start them winter so by the time November comes hopefully they’ll be a good transplanting size. I love saving seeds from snapdragons, they have the cutest pointed seedpods and all you do it tip the seeds out 🙂 The ones I bought today are the very tall variety, so I will save some from those, as I’ve only got seeds from the dwarf variety. Here is a small piece of my eastern garden bed. 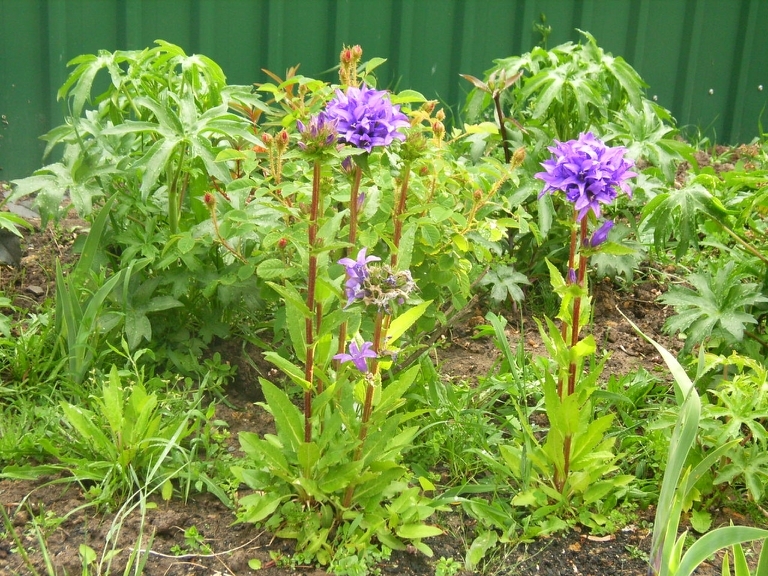 In the photo are Campanula glomerata (with the purple flowers), a Moss Rose (behind the centre Campanula, with the red buds), wild Delphiniums (on either side of the rose bush) and dark purple Irises (bottom right hand corner with the pointed leaves), as well as a few ofhter things if you can spot them. This bed is coming along quite nicely, slowly getting that nice mixture of plants that start to grow into eachother. Here is part of my southern bed, newly weed-free. Going from the bottom right hand corner towards the left: Asiatic Lilies, Gladiolas, Cornflowers, Sweet Peas & Dianthus. 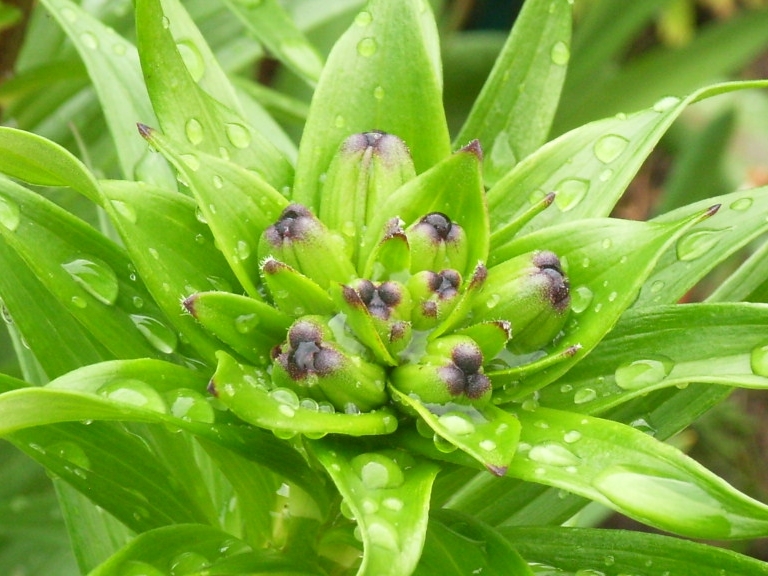 Here is an up-close shot of the Lilies in the photo. I’m expecting big things from this group! 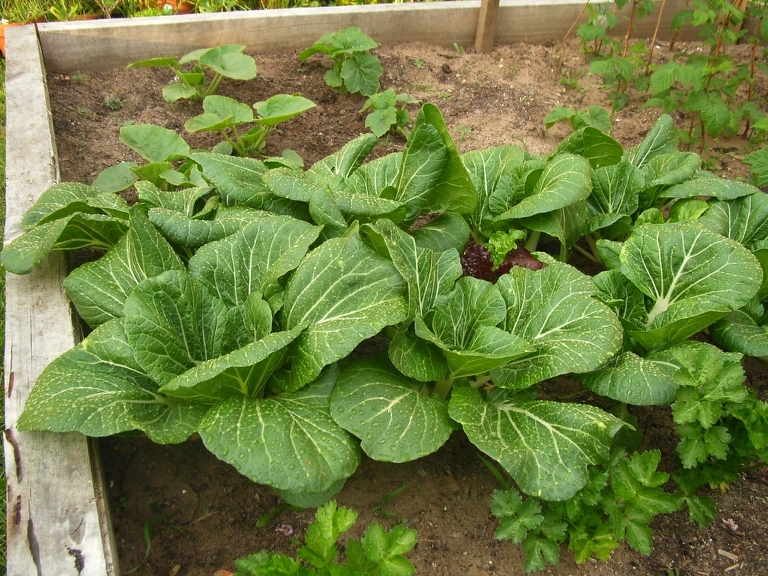 Here is my bok choi patch at the moment. It’s getting bigger! I think I will have to start giving some to my friends. 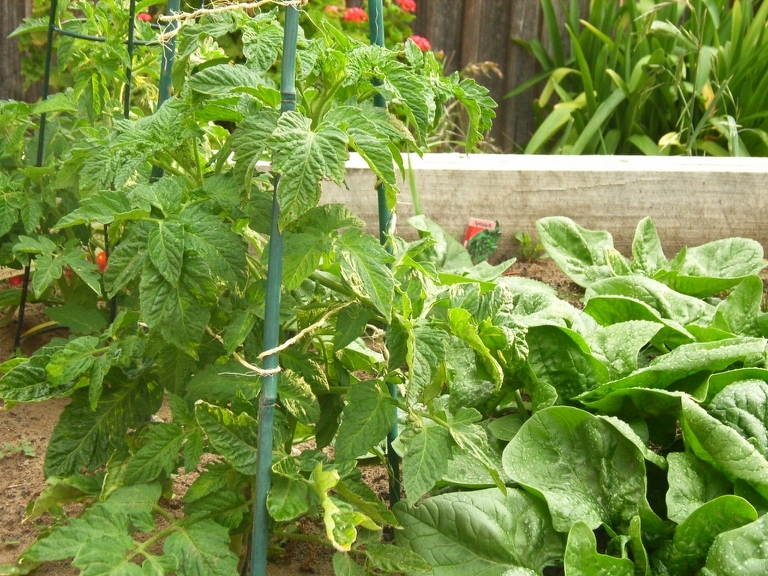 My tomatoes are getting really big & lush, and my spinach (on the right) is too. The whole garden has been loving the warm weather we’ve been having this week. 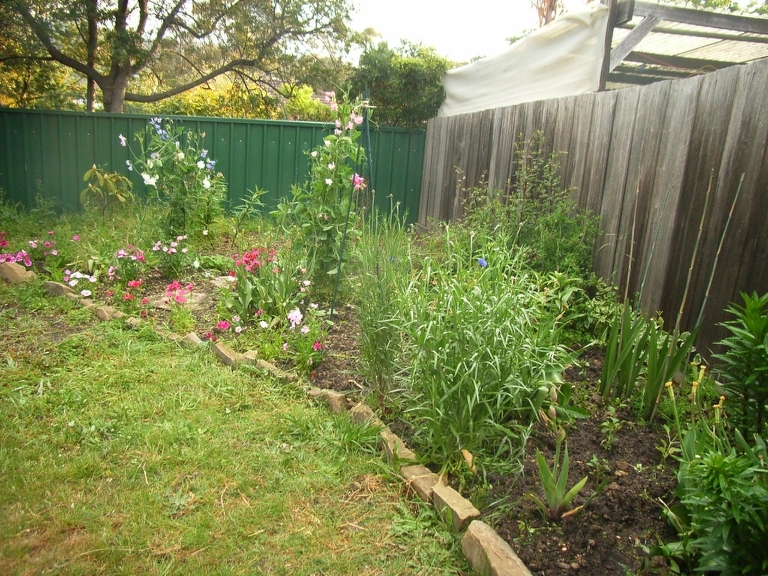 This entry was posted on November 11, 2008 at 9:08 pm and is filed under gardening, veggie patch. You can follow any responses to this entry through the RSS 2.0 feed. You can leave a response, or trackback from your own site.